U.S. Sen. Rand Paul, a man who loves freedom so much that he once considered using a catheter to facilitate a 13-hour filibuster on the floor of the Senate, came through the Inland Northwest to drum up support for his bid for the GOP presidential nomination. The freshman senator from Kentucky spoke in both Spokane and later that day in Coeur d’Alene Wednesday, and Boise today, to deliver his libertarian-tinged message of embracing the entirety of the Bill of Rights (not just the 2nd Amendment), expanding his party's reach to the poor and minorities and reducing government spending. 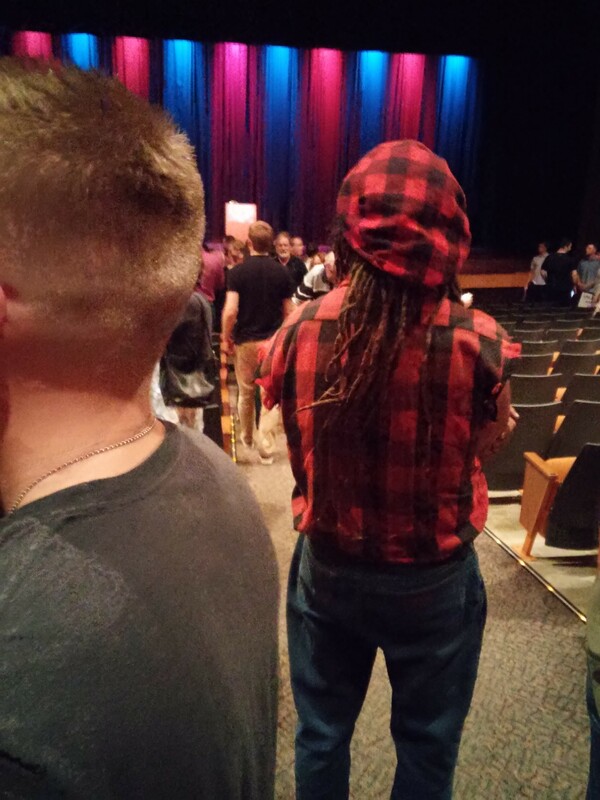 The son of former Congressman Ron Paul and two-time Republican presidential candidate drew roughly 400 people to Schuler Performing Arts Center at North Idaho College in Coeur d’Alene, a group that even included a white guy with dreadlocks. U.S. Rep. Raúl Labrador, an Idaho Republican who chairs Rand's Western States campaign, warmed up the crowd, telling them that the senator was a genuine conservative and that you can’t just speak to the angry people if you want to be elected president. Paul, said Labrador, is even so revered by U.S. Transportation Safety Administration agents at airports (normally the scourge of libertarian-leaning individuals), to the point they might even start a group to support him. Paul took the stage and began his speech by telling a story of how earlier that day he asked some locals what “Couer d’Alene” meant. Initially, Paul incorrectly thought it meant “heart of an owl,” not “heart of an awl,” an expression traders used to describe the shrewd trading practices of Indians that inhabited the area. Paul took the expression to mean having no heart, adding, “Oh, you could have just said Harry Reid,” referring to the Senate minority leader, a line that drew laughter. “Do you think a government employee can really distinguish between a thousand and a million dollars or between a million and a billion?” he said. He also took aim at his own party. He took aim at the debt. He also took aim at foreign aid, noting how he sponsored an amendment that would have halted giving money to countries that persecuted Christians for going against the state religions.